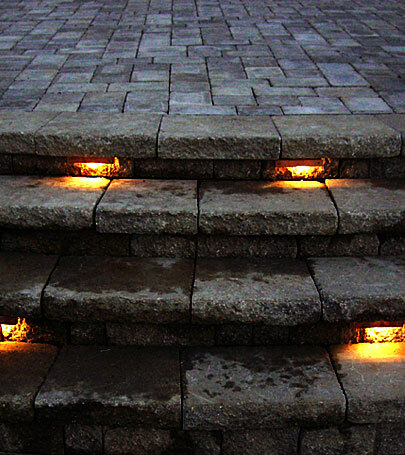 Below are some examples of low-voltage landscape lighting we have done. Click on each image for a larger view! This page is narrated! Click here for narration. Earth Dynamics Poolscapes can extend the appreciative compliments of “after sundown” outdoor living entertainment with an array of lighting possibilities. See below examples of step lighting, direct up lighting on palm trees, an illuminated path through a garden, Frank Sinatra’s own house, and some other examples of direct foliage illumination. Night lighting when performed well, can create a mood and ambiance of mystique and intrigue that didn’t exist during daylight hours changing the face of your landscape to a new and inviting wonderland.